Making time to do art can be a challenge, particularly when it’s not your day job. And, even when it is part of your weekly schedule, the distractions of email, social media, and other daily demands can put what’s left for creative time at a premium. “Peters Valley School of Craft in Layton, New Jersey is one of just a few places in the country to offer an immersion program for craft where people can go to explore new areas and to move their art to a new level. New and returning students go there to learn from artists working in multiple disciplines,” says Kristin Muller, Peter’s Valley’s Executive Director. “What we offer is different from attending a class or a workshop because we have everything right here on site. Many people who come stay on campus, so they’re working, eating and socializing with our resident artists and staff and with the artists who are teaching here during the time of their stay. 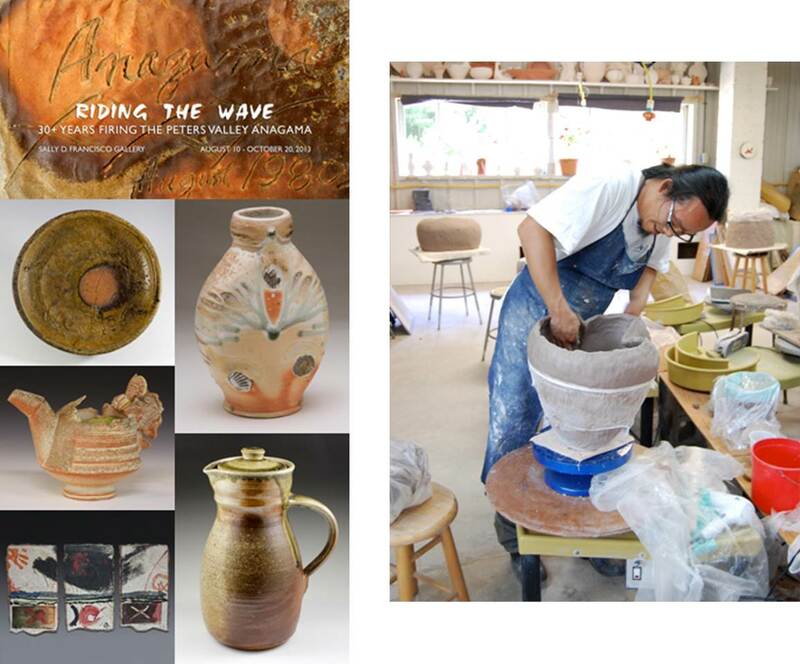 At any given time, we have classes in ceramics, metalworking, fiber arts, jewelry, woodworking and other media, so people have a chance to explore beyond their own area. Further, since courses run over a 3-5 day period, it requires more of a time commitment, so we get pretty committed students. Our process is also different than a lot of other programs because the focus is more on process than on producing a product. “This is a tough time for people working in the arts, particularly with what’s happening at the government level. We’re all feeling it, and it’s important to realize that we need to support the arts and arts education. At the same time, many people recognize the value of this type of learning and how it can contribute to society, business and other areas. Artists learn to be problem-solvers, and here we’re teaching those skills, which are very important. “Our organization, like many in the field, is looking for new ways to expand our outreach and gain more visibility. We’re exploring bringing artists into schools, expanding into assisted living, and recommending artists for special needs programming. “Programs here run between May and September. We offer around 125 workshops. There are 30 buildings on our campus, which is in the Delaware Water Gap and part of the National Park Service. We have a store, and at the end of September each year, we hold a large craft fair. This year, the Fair will be September 28th-29th. Overall, we handle about 600 students in the course of the season. “I’ve been here about four years, and right now we – the administration and our Board – are running a lot of assessments to see how we will handle future funding, how we can improve operations, and to see what kinds of business systems and marketing will help us meet our needs over the long term. “We’re also always talking with artists and arts professionals about what’s going on in the field, since as with many fields, so much is changing, and we will all benefit from working together”. Kristin Muller is also a passionate ceramic artist and writer. She grew up in both South and North America attending schools in Argentina, Chile and the United States. She holds a Bachelor of Science degree in Studio Arts from Southern Connecticut State University and a Graduate Certificate in Ceramics from Hood College where she is completing a Master of Fine Arts degree.